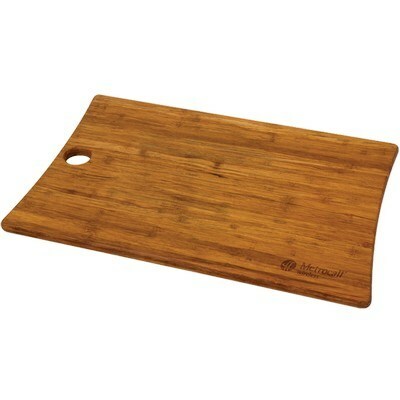 This large Woodland Bamboo Cutting Board is resistant against knife scarring and keeps your countertops scratch free. Cut and chop the food on your plate in a jiffy with the stylish Woodland Bamboo Cutting Board (L). Engrave your brand’s logo on this kitchen essential and gain wider visibility. The crushed bamboo wood is eco-friendly and 16% harder than maple wood. This ensures that the board doesn’t retain water or crack easily. This feature also prevents bacterial growth and gives a long lifespan. 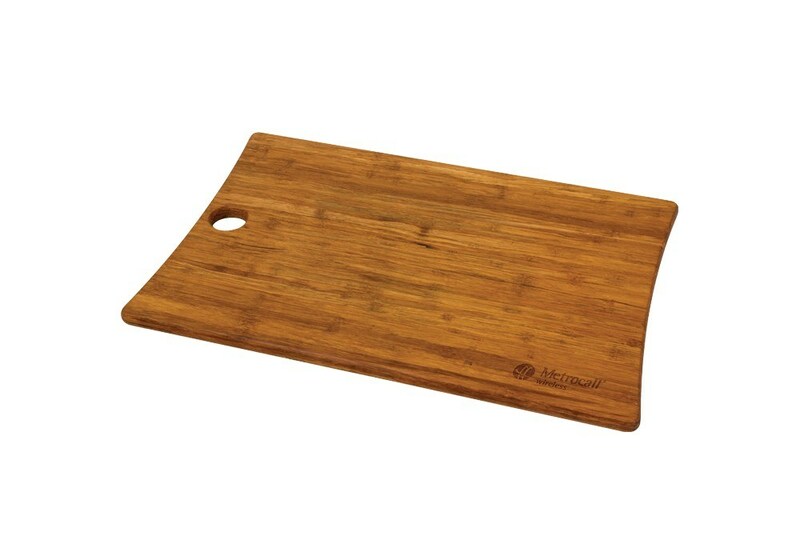 The board is resistant against knife scarring and keeps your countertops scratch free. The board sports an angled thumb hole that is designed for easy hanging and transportation. The thin design allows easy storage and handling. Individual boards can vary color and pattern due to the natural variations in the bamboo wood. Promote your brand on this environment friendly Woodland Bamboo Cutting Board (L) and add an elegant look to your kitchen counters.